Miller: It is the mix just as I described to you. One of the most cluttered portfolios that I have seen was a family where there were specific areas that were cluttered. Investments are easy to declutter. So if somebody has a variety of accounts it is easy to simplify that. We do some consolidation, help them understand what is in each account, and then start taking steps to clean up both asset allocation and asset location. What stays very complicated is a collection of insurance policies …. some of them are what we call cash value policies. There is no easy way to simplify that. Yes, there are things you can do to roll them into each other or create a new product, but that in and of itself can get very cluttered — figuring out what role they play, how to work with them, continuing to use them, etc. Knowledge@Wharton: A lot of investors and wealthy families try to unclutter their mess and deal with complexity by employing experts like accountants, lawyers, brokers and so on. Do you think that sometimes that adds to the complexity rather than reducing it? 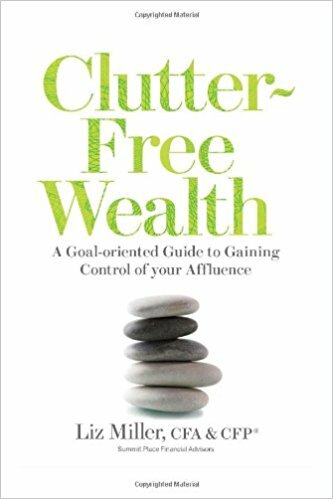 Knowledge@Wharton: You write in the book that the first step in uncluttering one’s financial life is to have clarity about money values. Could speak a little about what those are and what bearing they have on the financial decisions that families have to make? Knowledge@Wharton: Speaking about legacy, how can investors unclutter their approach to philanthropy?